Gouvènè Virjini an, Terry McAuliffe, deklare kouvrefe nan Charlotte apre lese-frape deklanche ant manifestan ki an favè sipremasis blan yo ak kont-manifestan yo ki yo menm tap pwoteste kont tout fòm diskriminasyon rasyal Ozetazini. Gwoup sipremasis blan yo kanpe kont desizyon gouvènman lokal la nan Virjini pran pou l retire sou plas piblik la stati kòmandan lame rebèl gè sivil la, Jeneral Robert E. Lee. 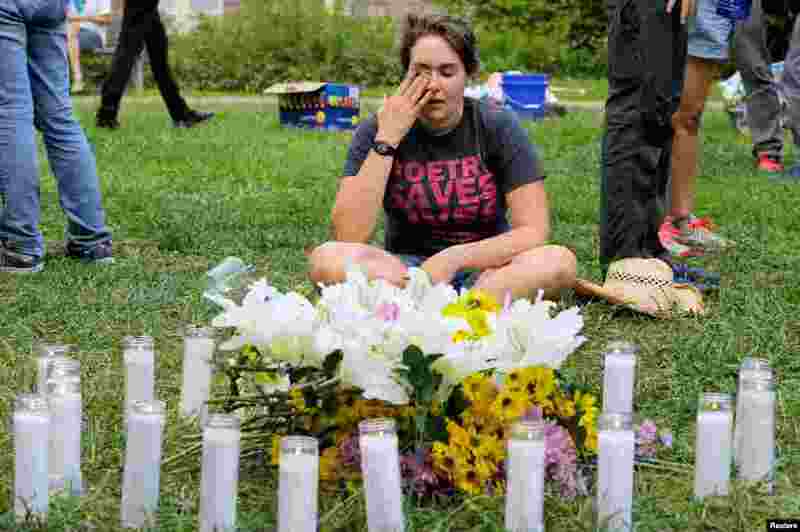 5 A local resident of Charlottesville wipes tears from her eyes at a vigil where 20 candles were burned for the 19 people injured and one killed when a car plowed into a crowd of counter protesters at the "Unite the Right" rally organized by white nationalists in Charlottesville, Virginia, Aug. 12, 2017. 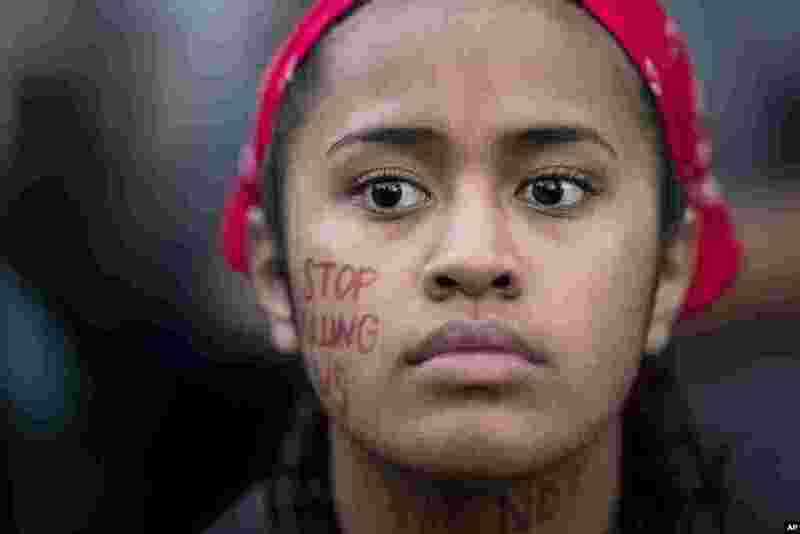 6 Lucy Siale protests against racism in Oakland, California, Aug. 12, 2017. 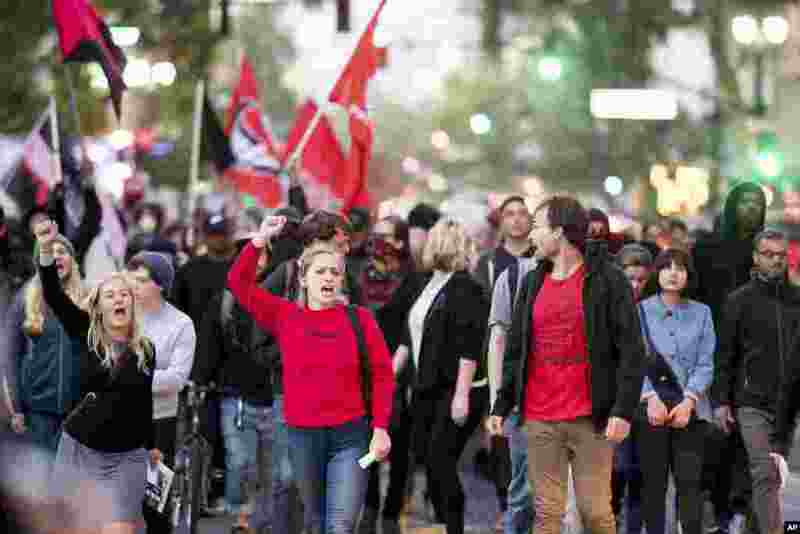 A group of several hundred demonstrators gathered to decry racism following deadly violence that erupted at a white nationalist demonstration in Charlottesville, Virginia. 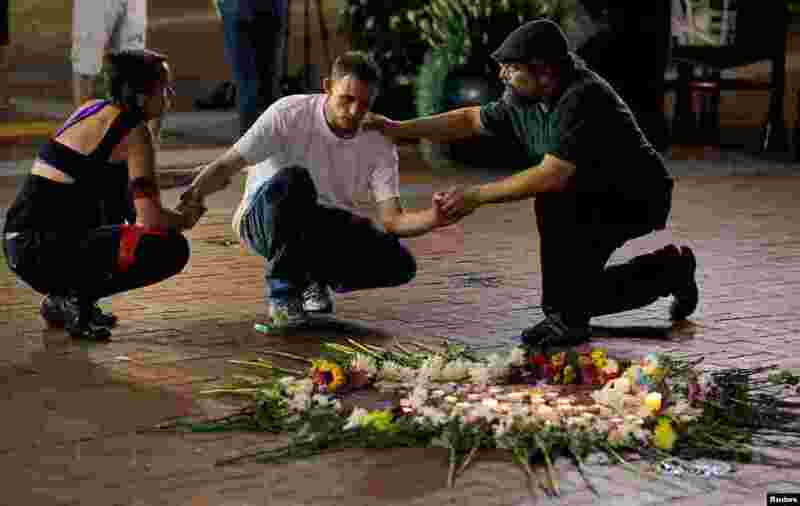 7 Two people stop to comfort Joseph Culver (C) of Charlottesville as he kneels at a late night vigil to pay his respect for a friend injured in a car attack on counter protesters after the "Unite the Right" rally organized by white nationalists in Charlottesville, Aug. 12, 2017. 8 Protesters against racism march through Oakland, California, Aug. 12, 2017.